After a long Easter Break we’re happy to invite you all for our May event in the park, situated right in the heart of Dortmund! 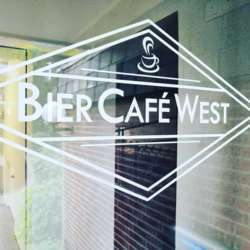 Depending on the weather, we’ll either be meeting inside the BierCafé West or outdoors on the lovely terrace looking right on to the green. Bring along your blankets, outdoor games or anything else you’d like to enjoy with the Dortmund Community members. It’s a fun way to get to know each other. Thanks for all the suggestions you have been sending us regarding new locations... keep them coming in! We can then surprise our community with more fun locations to meet at.